Spring Training Visages | Christopher T. Assaf Visual Journalist Visual storyteller Christopher T. Assaf lives in Austin, Texas. He works throughout Texas, the Gulf Coast, Southwest, Midwest and available to go almost anywhere. He is an experienced photojournalist specializing in sports, portrait, lifestyle, magazine, corporate, pet, commercial & wedding. He is an award-winning video editor and cinematographer. 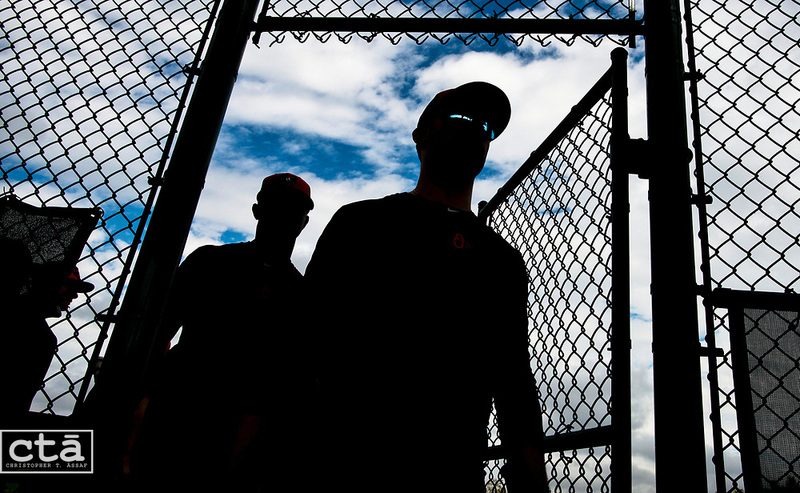 Players leave Field 3 after fielding drills so they can take batting practice at the team's spring training facility in Sarasota, Fla.